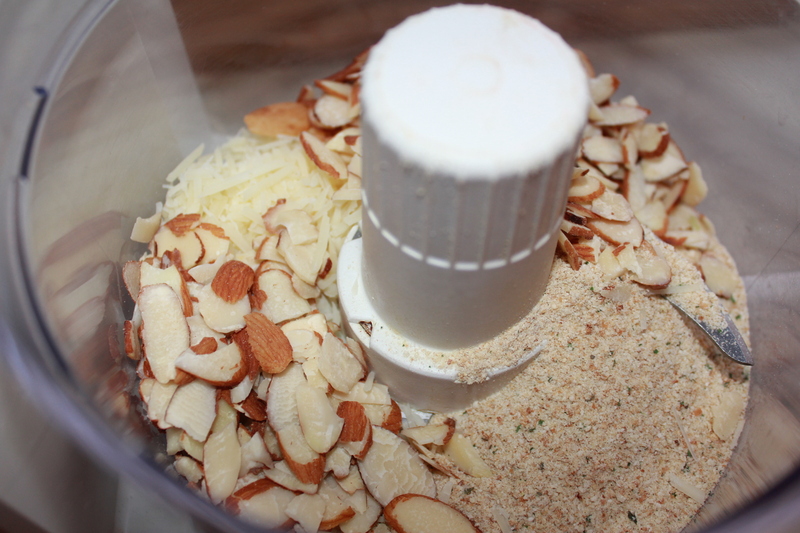 Place the almonds, Parmesan, bread crumbs, salt and pepper in a food processor and pulse until you have a nice crusty mixture — it doesn’t need to be finely ground, but not too chunky, either. Put the mixture on a plate. 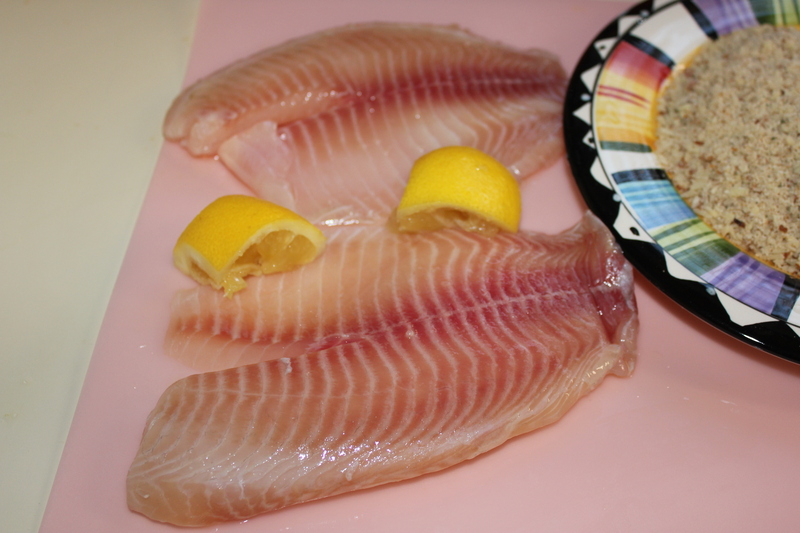 Squeeze fresh lemon juice on both sides of the tilapia. 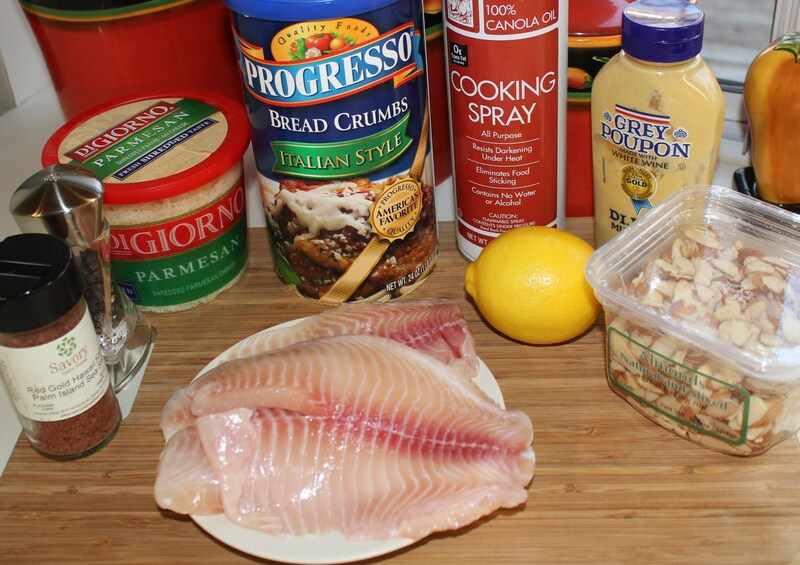 Spray your baking pan with cooking spray. 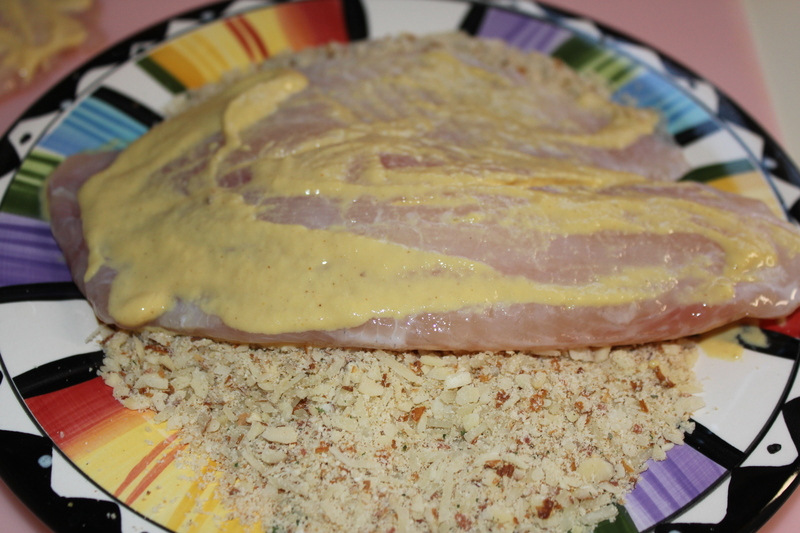 Place the fish in the pan and spray the tops of the filets with cooking spray. 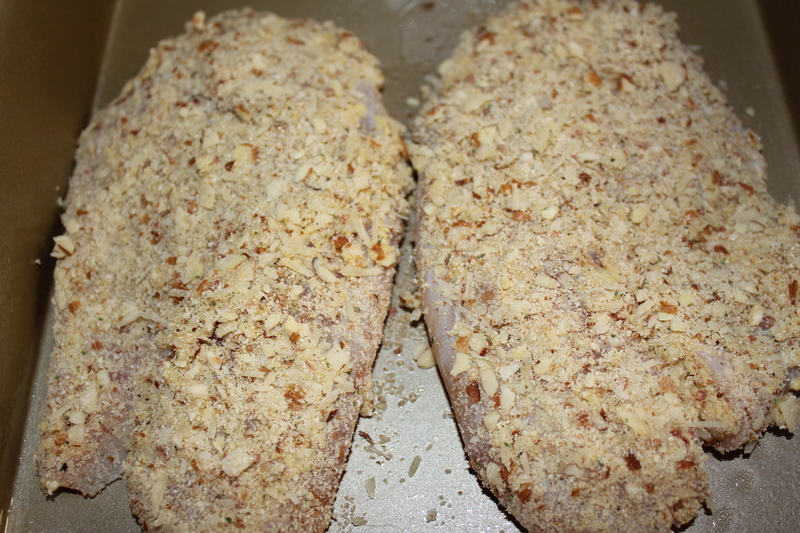 Bake for 18-20 minutes, until the fish is flaky and the crust starts turning brown. 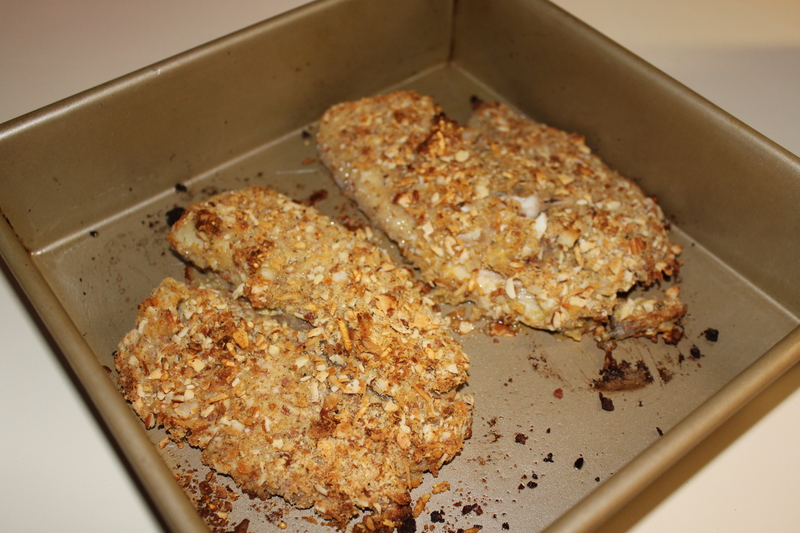 Enjoy this with a green veggie like broccoli or green beans and/or a starch such as wild rice or couscous. 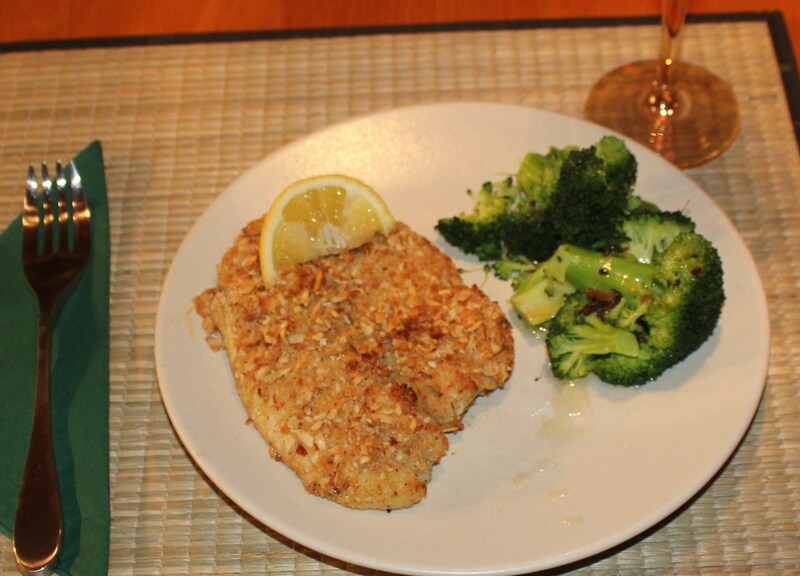 A nice white wine or light pinot noir goes great with this as well. 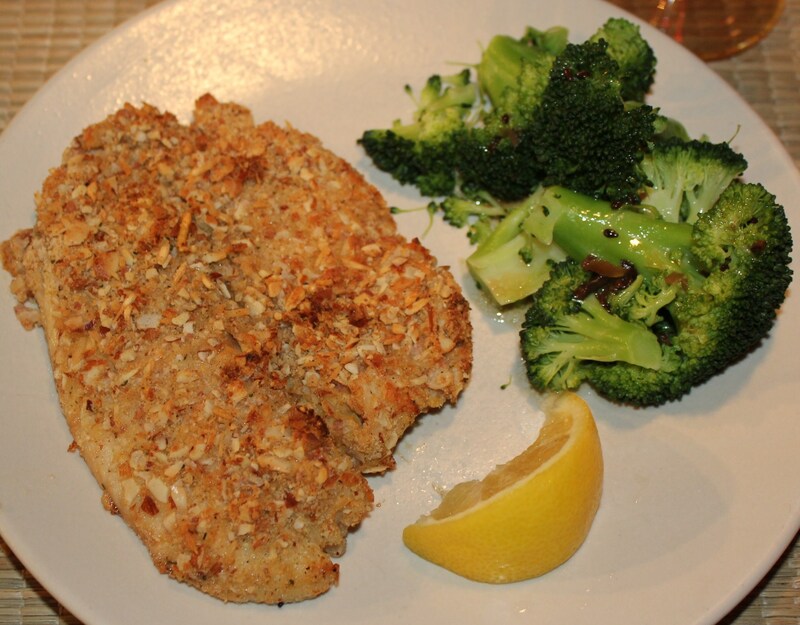 This entry was posted in Pescatarian, Recipes and tagged Almond parmesan encrusted tilapia recipe, Baked fish recipe, baked tialpia recipe, crispy oven baked fish, eat drink and be merry, kel's cafe of all things food, Kelley Chisholm recipes, Oven fish tilapia recipe, tilapia recipes. Bookmark the permalink.